Christianfilipina.com is the premium website when it comes to dating Filipina ladies. The website offers a wide range of services to (Western) guys that are out to find that one special Filipina lady. The site was founded in 2009 and has since become a huge success. 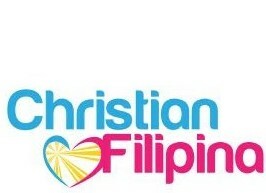 Christianfilipina.com currently has over 100,000 members that check out the site on a daily basis. Other sources state that this member amount has increased to 110,000 in the meanwhile. Christianfilipina.com offers you several features for the monthly plan that you can engage in. You can create a free profile, browse profiles, send and receive e-mails, see who is online at that very moment and you get to see who has viewed your profile. You furthermore will be able to do advanced searches, block members, show new members, engage in the mobile site and keep a favorite’s list. Dating articles are available for those who feel the need to read them. The monthly costs of Christianfilipina.com are $17.00. Christianfilipina seems to offer a wonderful site if you’re in the market of finding a Filipina wife or English husband who happens to be Christian. The site fills up this niche perfectly with the branding as well. We were impressed with sincere profiles of Filipina women offered on their site showing in real life that they are in fact producing tangible results! Make sure to share your own reviews of Christian Filipina by clicking on our leave a review button below.